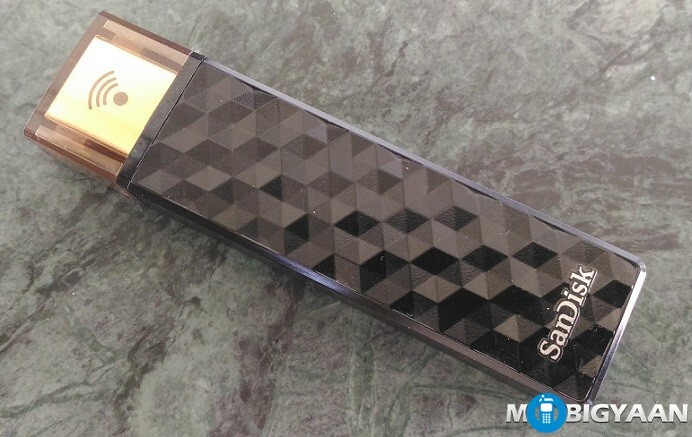 SanDisk Connect Wireless Stick is a USB flash drive from SanDisk. We got a 32 GB USB stick that has a built-in Wi-Fi hotspot used to transfer the data over the air. It simply means that you don’t have to connect it to the PC to transfer the files. Another interesting thing is that the USB stick can also be used as a file server i.e. 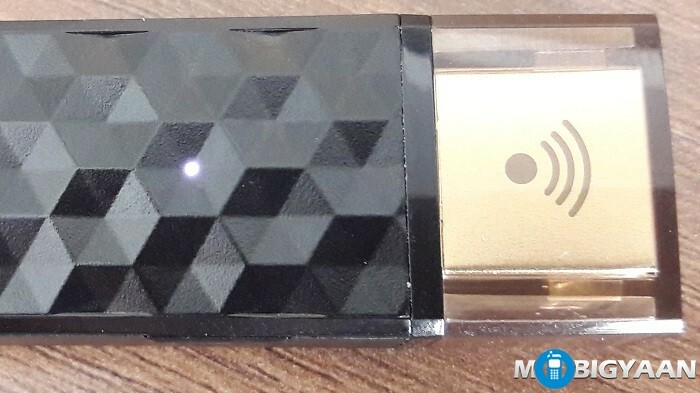 you can play songs, watch videos or see photos that are available on the USB drive without even connecting it to a PC. 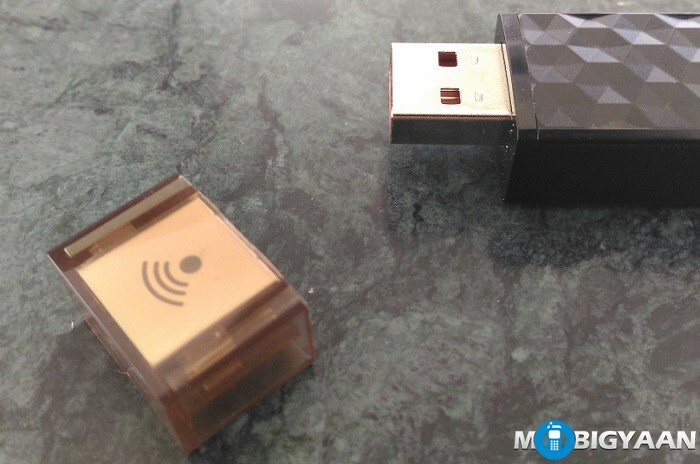 Up to 5 devices can access data from the USB stick wirelessly. 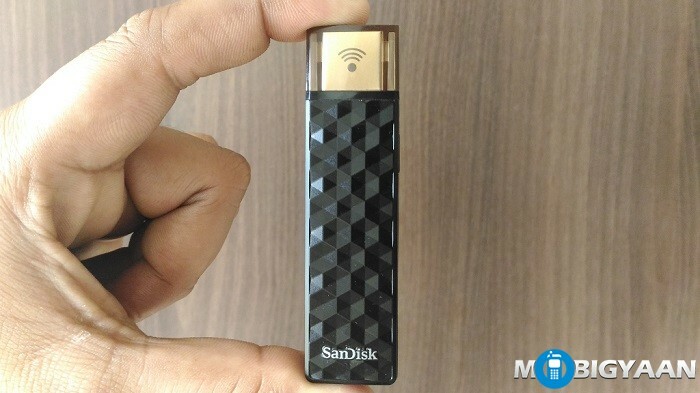 The SanDisk Connect Wireless Stick weights 21.76 grams and looks like a traditional plug and play flash drive. The design is quite changed from its predecessor, it is covered by a cap on the USB head. The front has a 3D hexagon-like pattern that shines under light. It is highly portable and can be carried along in the pocket. The backside is kept flat design, unlike the front. On the bottom, there is a lanyard hole to stick a lanyard inside. 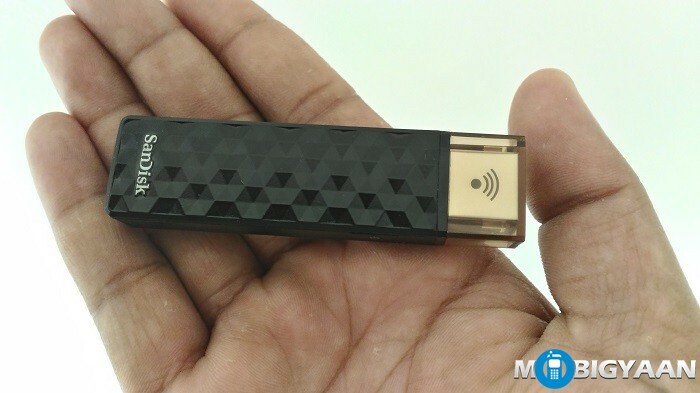 It features a Wi-Fi built in so that the mobile devices can connect using an ad-hoc wireless network created by the SanDisk Connect Wireless Stick. It supports 2.4 GHz Wi-Fi 802.11n and a USB 2.0 as for the connectivity. The Wi-Fi network can be secured using optional security provided by the wireless USB Stick. 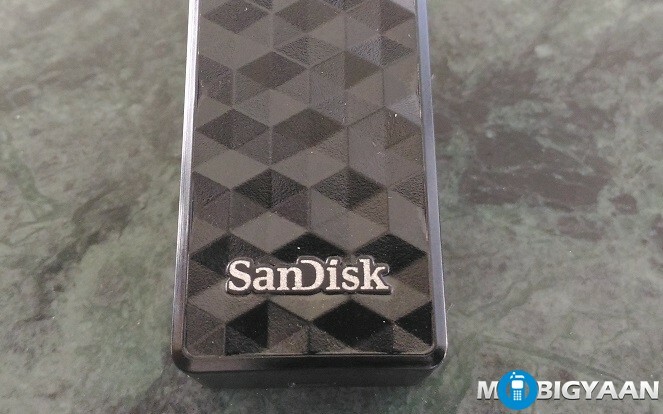 Unlike other SanDisk USB sticks, this one has a removable cap on top of it. 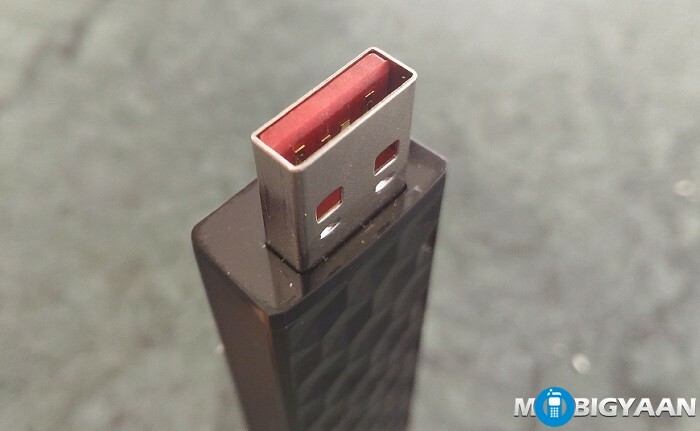 It has a standard USB 2.0 port, not the USB 3.0 i.e the speed will be limited to the old USB 2.0. 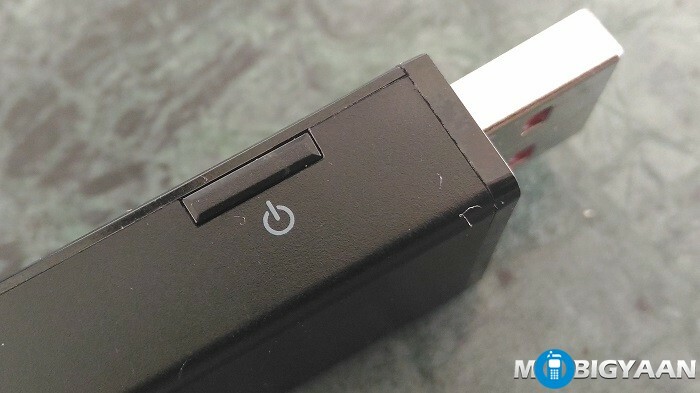 There is a power button on the right that powers the USB stick. You can be notified with an LED indicator on the front. The LED shows that the USB is turned on. It works up to 4.5 hours of continuous usage and when plugged in it charges automatically while being used as a USB drive. 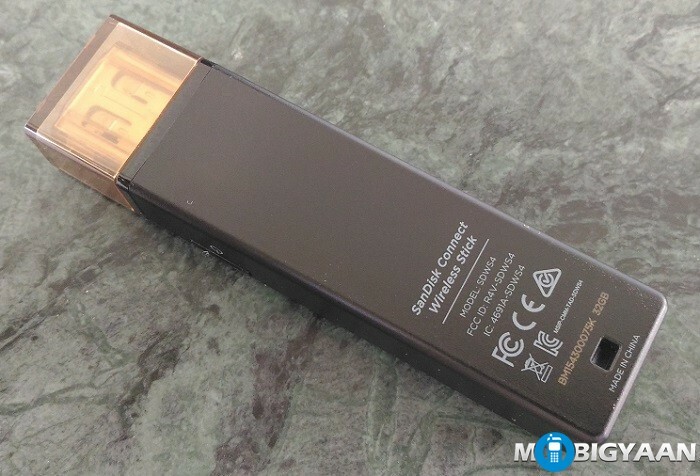 The SanDisk provides an app for accessing the wireless stick. From there you can play songs, watch videos, or even see photos that you have saved on this flash drive. We also tested it using the ES File Explorer app on Android and the streaming works like a charm. We measured the distance from two rooms and the connectivity remains connected. The 32 GB variant is priced at ₹3190 (MRP). 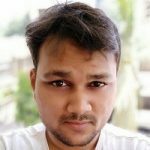 There are other variants also available in 16 GB, 64 GB, 128 GB, and 200 GB.